The American Heart Association has a love affair with polyunsaturated and monounsaturated fats. They recommend that the majority of our fat intake come from these sources. This point of view was based on solid science, but it seems that the science just isn't that compelling. The first study, published in the Annals of Internal Medicine, looked at 76 previous research projects that examined fatty acids and their impact on heart health. This was not new research, but rather an examination of 17 previous research studies, collecting and comparing all of the statistical results. This review, called a meta-analysis, found no connection between consumption of omega-3 and omega-6 polyunsaturated fatty acids and reduced heart disease. The second study was published in the Journal of the American Medical Association – Internal Medicine. Like the first study, this was a meta-analysis. They also found no correlation between omega-3 intake and lessened risk of heart disease. So what does this all mean? Should we dump the fish oil and pick up that bag of chips? Probably not a good plan. Consumption of omega-3 supplements should be re-evaluated, however. There are other benefits, including increased tear production for people following LASIK surgery. 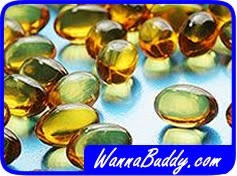 But if you’re really counting on omega-3s to shield you from coronary problems, you might want to develop another plan.